BBQ’s are a fun way to enjoy good food and the outdoors, but you need to make sure you read the safety tips of your BBQ before using it. Propane and charcoal BBQ grills should only be used outdoors and away from the home in an open area. 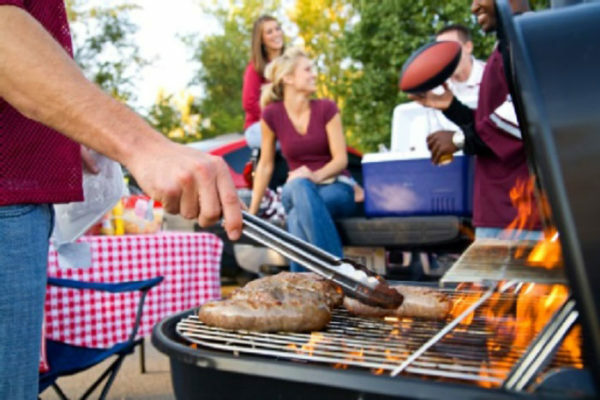 Keep grills clean by removing fat and grease from the grill and trays below. Keep an eye on what your fry. Make sure you always let coals cool before disposing in a metal container. If your flame goes out on a propane tank, turn the grill and gas off and wait at least 15 minutes before re-lighting it. Always make sure the gas grill lid is open before lighting it. To test your gas tank hose for a leak you can apply a light soap and water mixture to the hose. If there is a propane leak, bubbles will be produced. Have a great summer and stay safe!